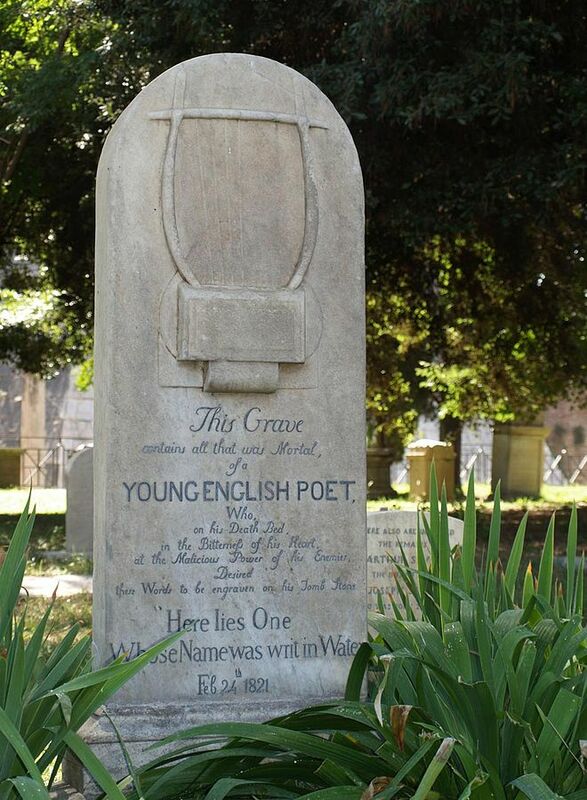 In researching Rome in 1820 for my most recent book, the first Englishman to leap off the page was of course John Keats. The poet lived in an apartment by the Spanish Steps for some months and died there in February 1821, ostensibly from tuberculosis. There appeared to be a belief in the beneficial effects of Italy’s climate and many people traveled there for their health. In the process I became interested in the state of medical treatment and the presence of at least one English-speaking physician in Rome at that time, Dr. James Clark, later Sir James Clark, 1st Baronet. James Clark, a Scotsman, studied medicine at the University of Edinburgh and became a member of the Royal College of Surgeons of Edinburgh before entering service in the Royal Navy in 1809. After the Napoleonic wars Dr. Clark returned to private life. He set out to travel across Europe with a gentleman patient who suffered from tuberculosis in 1818. He appears to have used the opportunity to study the impact various aspects of climate on the disease. In 1819 he settled in Rome and found numerous patients among the upper class English who traveled there in great numbers. Over a period of seven years he built up a successful and very lucrative practice. He made friends that would serve him well throughout his career. 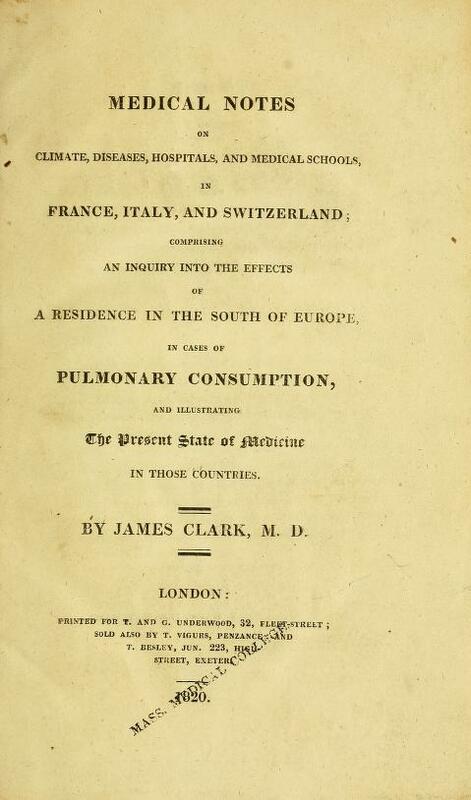 During his time in Rome he published the results of his earlier travels as Medical Notes on Climate, Diseases, Hospitals, and Medical Schools in France, Italy, and Switzerland, comprising an Inquiry into the Effects of a Residence in the South of Europe in Cases of Pulmonary Consumption (1822). In that work he appears to prove, “that consumptive patients have no just reason to expect that benefit from the air of the northern shore of the Mediterranean which so many are eager to seek…” In other words, traveling to Italy for your health may not help as poor Keats discovered. A contemporary author has speculated that Clark’s treatment of Keats, which included a starvation diet and bleeding, may have hastened his death. (Doctor’s mistakes to blame for Keats’s agonising end, says new biography, Alison Flood, The Guardian, 26 October 2009) However, it is also likely that Keats’s own practice of dosing himself with mercury contributed even more. (Mercury Sent John Keats to an Early Grave, Nicholas Roe, The Telegraph, 06 October 2012) Since Keats himself was a trained physician, Dr. Clark can hardly hold all the blame. Keats suffered terrible stomach issues (probably from the mercury) leading to confusion in his diagnosis. Clark’s practice in Rome built up a certain reputation with upper class English travelers. In 1826 he set up a practice in London and was admitted to the Royal College of Physicians. He continued to study and publish on the influence of climate and mineral waters on health. He also continued to draw the attention of European aristocrats. On a visit to study the waters at Carlsbad he drew the interest of Prince—later King—Leopold of Belgium, the uncle of Prince Albert. With Leopold’s recommendation he became the personal physician of the Duchess of Kent and Princess Victoria in 1834. When Victoria became queen in1837, he became the Queen’s “physician in ordinary.” Upon her marriage he became the personal physician of Prince Albert. 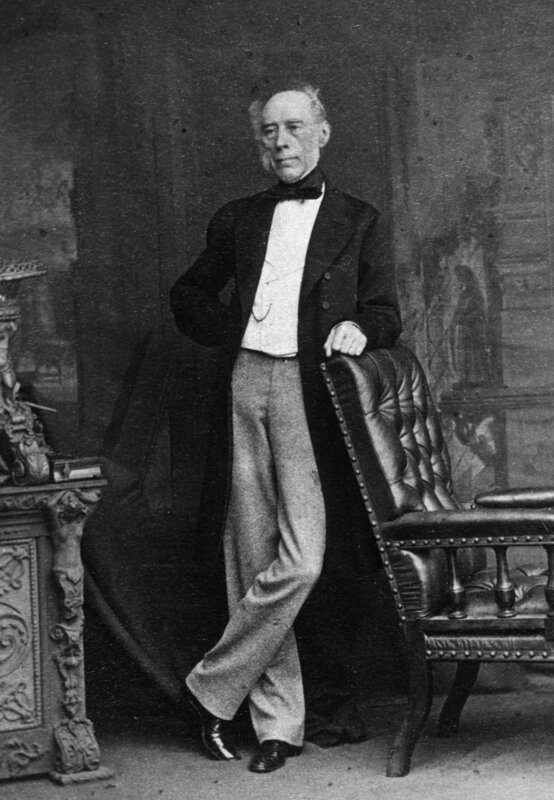 He retained this appointment until he retired in 1860. 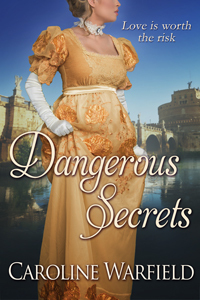 My novel of 1820 Rome is called Dangerous Secrets. Another great post, Caroline. I counted my blessings every day I was in the hospital recently that I at least was in a modern facility with modern medical procedures. No one doused me in mercury, or bled me. Poor John Keats. Excellent post, Caroline! One had to be of hardy stock to survive the medical treatments of the past. Perhaps Keats’s agonies had more to do with mercury poisoning than the doctor’s treatment, but bleeding and starvation couldn’t have been fun either. Sheesh!